physicians can be well-prepared in managing many facets of patient care. 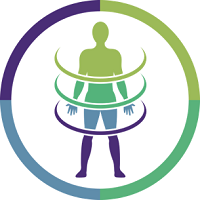 PGxOnco™ testing can guide optimum treatment of cancer-related pain for both current patients and survivors. When anxiety, fear or depression emerge, medication may be indicated. PGxOnco™ can enable faster relief by reducing trial-and-error prescribing and dosage titration. Chemotherapy-induced nausea and vomiting are major concerns associated with cancer treatment. PGxOnco™ testing can help reduce these side effects and improve quality of life by optimizing drug therapy. oncologist who steps in as the primary care physician. One such area is cardiology. Recommendations also include therapeutic areas not traditionally associated with cancer treatment to assist the oncologist who steps in as the primary care physician. One such area is cardiology. Efficacy and tolerance of chemotherapeutic drugs varies widely. A key contributing factor is genetics. 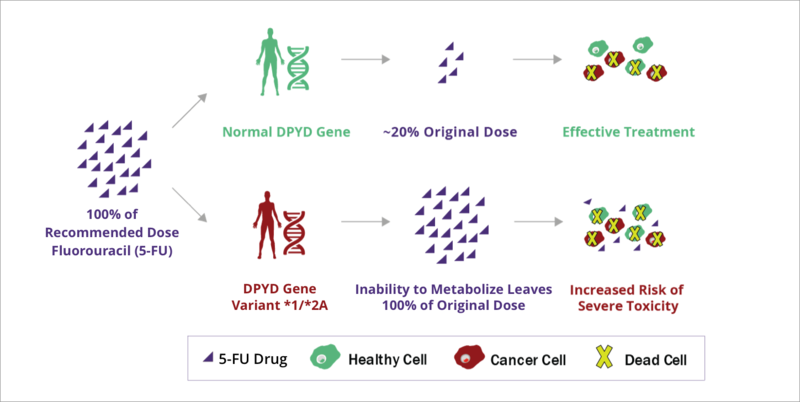 For example, 5-FU, a commonly used chemotherapeutic is often poorly metabolized by patients with certain DPYD variants.